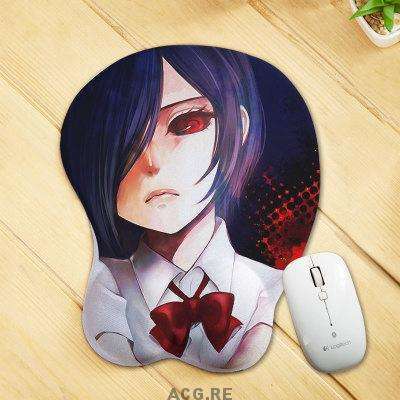 Tokyo Ghoul started as a manga series, written and drawn by Sui Ishida. It began serialization in 2011’s 41st issue of Weekly Young Jump, published by Shueisha on September 8, 2011, and the final chapter appeared in 2014’s 42nd issue, released on September 18, 2014. The series has been collected in fourteen tankōbon volumes, released under Shueisha’s Young Jump Comics imprint between February 17, 2012, and October 17, 2014.The series has been licensed for an English release by Viz Media and the first volume was released on June 16, 2015. In August 2013, a prequel spin-off manga titled Tokyo Ghoul [Jack] was released on Jump Live digital manga. The story spans 7 chapters and focuses on Arima Kishō and Taishi Fura 12 years before the events of Tokyo Ghoul. The manga features several characters from the main series including the above stated Kishō Arima, Taishi Fura, and future key characters Itsuki Marude and Yakumo “Yamori” Ōmori. A sequel titled Tokyo Ghoul:re began serialization in 2014’s 46th issue of Weekly Young Jump, published on October 16, 2014. The series is set 2 years after the end of the original series and introduces a new set of characters.